Central Asia currently plays an important role on the global stage due to its geographical position and the region has been receiving increased research attention. 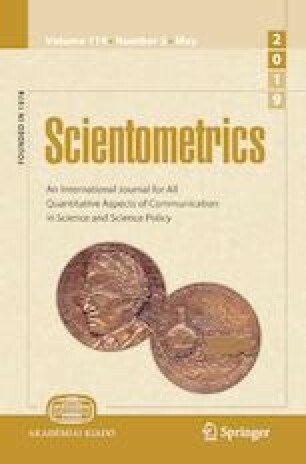 We conducted a bibliometric analysis for the years 1900–2016 to evaluate differences in global research on Central Asia before and after the collapse of the Union of Soviet Socialist Republics (USSR), based on the Science Citation Index Expanded (SCIE) and Social Science Citation Index (SSCI) databases. This paper adopted a comparative analysis approach and summarized publication outputs, subject categories, country productivity, collaborations, title keywords and institution productivity on Central Asia before and after the collapse of the USSR. We analyzed the relationship between global research outputs on Central Asia and relevant impact factors, including the number of tourists, exports of fuel oil and gross domestic product (GDP). Comparing results before and after the collapse of the USSR, our bibliometric analysis revealed the following: (1) publications on Central Asia experienced a meteoric growth and publications in the SCIE played a dominant role after the collapse of the USSR; (2) Geology, Environmental Sciences & Ecology and Paleontology increased the most while Science & Technology—Other Topics, Geography and Anthropology decreased dramatically; (3) research countries became increasingly diversified and publications were produced by increasing numbers of international collaborations with a diversification of major collaborators; (4) the focus of title keywords differed before and after the collapse of the USSR; (5) institutions became more diversified and most of them focused on natural sciences; (6) there were high correlations between publications on Central Asia and the number of tourists, exports of fuel oil and GDP. These results reflect the close relationship between scholarly outputs on Central Asia and relevant factors, including the number of tourists, export of fuel oil and GDP. Increasing scholarly outputs on Central Asia therefore had a positive impact on global Central Asia research. World Bank. (2015a). Kazakhstan: Low oil prices, an opportunity to reform. World Bank Group, Economic update no 1. Retrieved from: http://www.worldbank.org/en/country/kazakhstan/publication/kazakhstan-economic-updatespring-2015. Accessed 3 Aug 2017.